Reliance Industries (RIL) on Wednesday said its subsidiary Reliance Jio Digital Services (RJDSL) has entered into a strategic transaction with Haptik Infotech, a conversational artificial intelligence (AI) platform that will build India's largest AI assistant company across chat, voice and vernacular languages. The company said in a statement that the transaction size (including investment for growth and expansion) is estimated to be Rs 700 crore, with Rs 230 crore as the consideration for the initial business transfer. “The Haptik team will continue to drive growth of the business, including the enterprise platform as well as digital consumer assistants. On a fully diluted basis, Reliance will hold close to 87 per cent of the business, with the rest being held by the Haptik founders and employees through stock option grants," the statement said. This transaction enables Jio to leverage Haptik’s capabilities across various devices and touch points. The focus is on enhancement and expansion of the platform, with an addressable market opportunity of over 1 billion users. 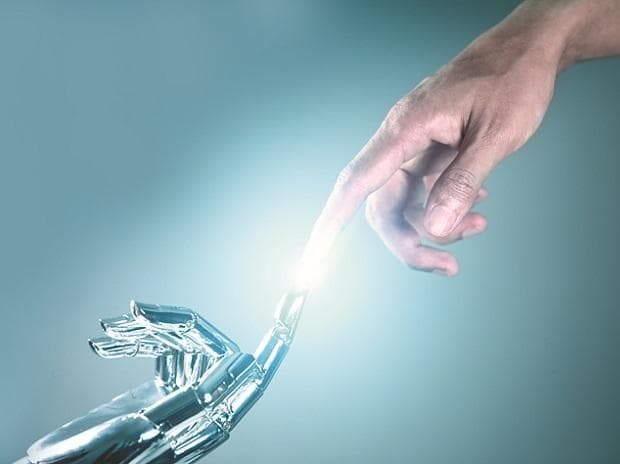 This partnership will also give a boost to Haptik’s existing enterprise grade business, with the firm continuing to build innovative AI solutions for corporates globally. RIL and its subsidiaries are aggressively shopping for language and AI companies, and similar start-ups in the digital assistant and online content support space. Analysts feel RIL is on the path to create the Indian equivalent of Facebook, Apple, Amazon, Netflix and Google (commonly known as FAANG). The firm already has KaiOS, as well as a handset and app ecosystem, to take it to a step closer to the FAANG model globally, or Alibaba/Baidu in China. “What is evident from the acquisitions announced so far is that Jio wants to be a digital giant and understands that simply providing the internet backbone isn't enough. Jio is also creating the product/service base for users to consume, along with the data,” said Faisal Kawoosa, founder and chief analyst of TechARC. On the other hand, Jio’s partnership with these native technology firms provides them with the scale to improve reach, he added. Haptik is one of the world’s largest conversational AI platforms. It has processed more than 2 billion interactions till date, with a marquee client list that includes Samsung, Coca-Cola, Future Retail, KFC, Tata Group, OYO Rooms, and Mahindra Group, among others. The company focuses on key customer engagement use cases such as customer support, concierge, lead generation and live chat. In February, RIL had announced $110 million of new investments in five companies related to logistics, pharma retail and data management/AI space, end-to-end voice technology and simulation services for manufacturing. Over the past five years, RIL has invested $1.2 billion (acquisitions less than $1 billion) to build capabilities across various business. After entering into agreements to acquire logistics services platform Grab and software firm C-Square Info Solutions, RIL, through its subsidiary Reliance Industrial Investments & Holdings (RIIHL), is acquiring three start-ups — Reveries, EasyGov, and Sankhya Sutra Labs. While Reveries offers multilingual language support, EasyGov is in the e-governance space and Sankhya Sutra is into industrial fluid dynamics. So, Jio first had the telecom network, and then the device and its advertising ecosystem. Now, the company is building the consumer-facing software base with the likes of Reverie and Haptik.